New Year is around the corner and everyone is gearing up for the festive moods. Youth especially look forward to party at the midnight hour with their best companions. Ringing the bell of new year with an enjoying mood makes the whole year wonderful, fruitful, productive, and enthusiastic from the very beginning. 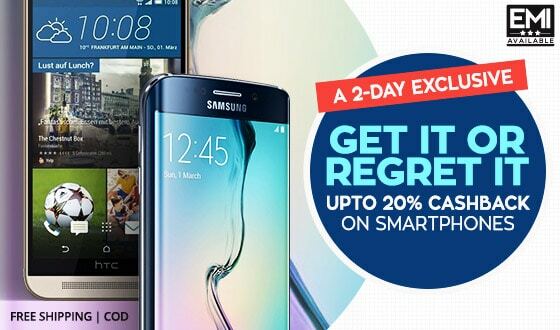 The most awaited party time of the year is ahead enjoy it pocket friendly with Paisawapas Cashback offers!! Delhi has one of the most party headed crowd and they deserve the best with their own hometown firm offering mouthwatering deals for nightlife on the eve of 2018 “Paisawapas”. Venue: White Orchid, K.R. Puram Ring Road, Bengaluru, Karnataka. The place is available for families and is also provided for ladies. You can buy alcohol at affordable prices and enjoy the mix and match of Bollywood songs with Kannada rappers. Only stag entries with valid ID proofs. Alcohol is available in limited quantity. 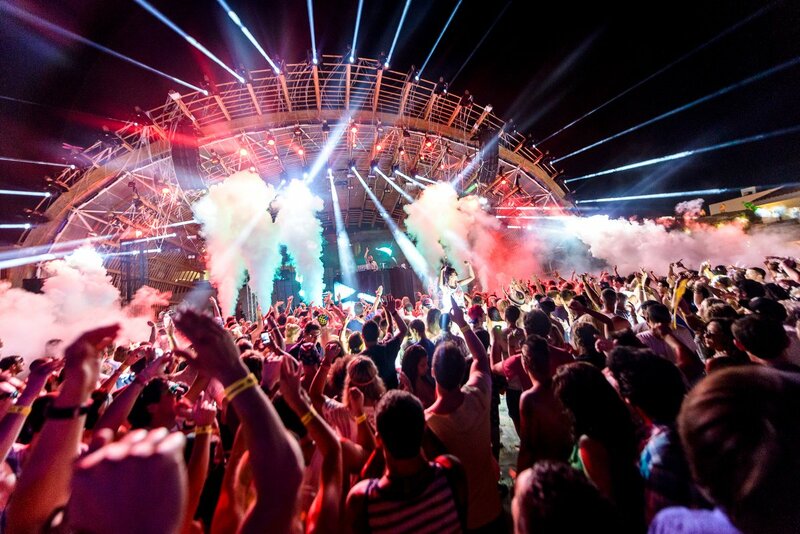 He has performed in numerous events playing his well-researched and full of beats and drops tracks. With his weird haircut and mind perfectly in sync with his music DJ Tousif has the pure sense of his work and the synchronization with his audience’s heart during the New Year Party in Bangalore 2018. The party will be full of finger-licking food, Bollywood songs and mixes and much more fun. Being in the entertainment industry from past 8 years DJ Jiten has become an iconic name in the music fraternity. He was appointed as the official DJ for the Celebrity Cricket League (CCL) for all its four seasons. He has performed on domestic as well as international stages and rocked the floor. The New Year Party in Bangalore 2018 will have a dedicated area for kids and nannies will also be available to manage your kids. There will be fashion show, casino set up, fireworks etc. among the list of events. DJ Esha is the top 1 female DJ who sets the hearts racing in the city of Bangalore. With a huge fan following she has grown up to be an international artist too. DJ Vcky is the resident of the No Limmits Club and has been DJing from a very young age. His music has a unique blend of Bollywood and EDM music. Come and join the party bash during this New Year Party in Bangalore 2018. DJ V SKY is probably the only DJ who started out in this profession at a very early age of 14. With the guidance of DJ Psycho he has polished his DJing skills to a level that makes every dancer on the floor hop on every beat. His smooth blends on Psy music and Bollywood music has brought a new touch in the industry. 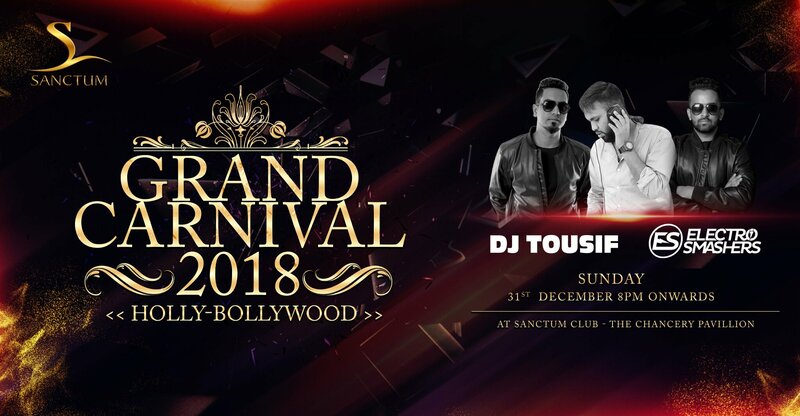 The New Year Party in Bangalore 2018 party is equipped with Punjabi dancers and will also have a photo booth, special New Year’s countdown. There will be a special kids area for Banquets provided by the hotel during this New Year Party Bangalore 2018. How to Book the Tickets for this New Year Events in Bangalore? Visit Bookmyshow website or app. Select the party you want to join in. Choose your preferred mode of transaction. Once purchased, the tickets cannot be canceled. Refunds can’t be taken in such cases. In case of the cancellation of the event the refund will be transacted. Every year we welcome the new beginning with the huge celebration. This time too, get out of your room and join the extravaganza where there will be dance and music and food and beverages. All under one roof. Don’t waste your time, get up and book the tickets before the floor gets full.